The famous masked wrestler, having inherited the mask from legends before him. 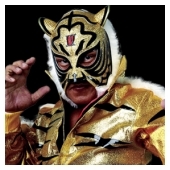 With the guidance of the original Tiger, Satoshi Sayama, he debuted in July of 1995. After competing in Michinoku Pro Wrestling, he returned to New Japan in 2002. 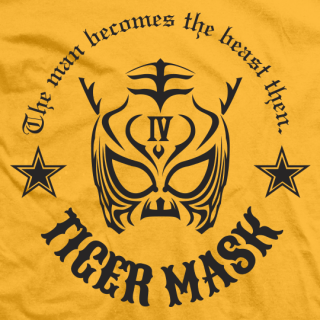 Armed with fierce kicks and amazing speed reminiscent of the 1st generation Tiger, he is the only wrestler to have won the BEST OF THE SUPER Jr. tournament 2 years in a row (2004-2005). Along with Liger, he stands as a living legend in the Jr. Heavyweight division, making an impact on the next generation of wrestlers to come.